Again, I want to start off with a big thank you to Craig for suggesting some pooches that are especially ready for their new “furever” home and providing some extra background information on each one! I started the day with Domino, a seven-year-old Pit Bull Terrier mix. Domino was actually suggested by another volunteer who knows Domino and thinks he would be a great addition to a home. And another employee said that Domino is a great dog, too! Domino has quite a good reputation at the shelter. Domino came to the shelter from a home, so he is fully trained. 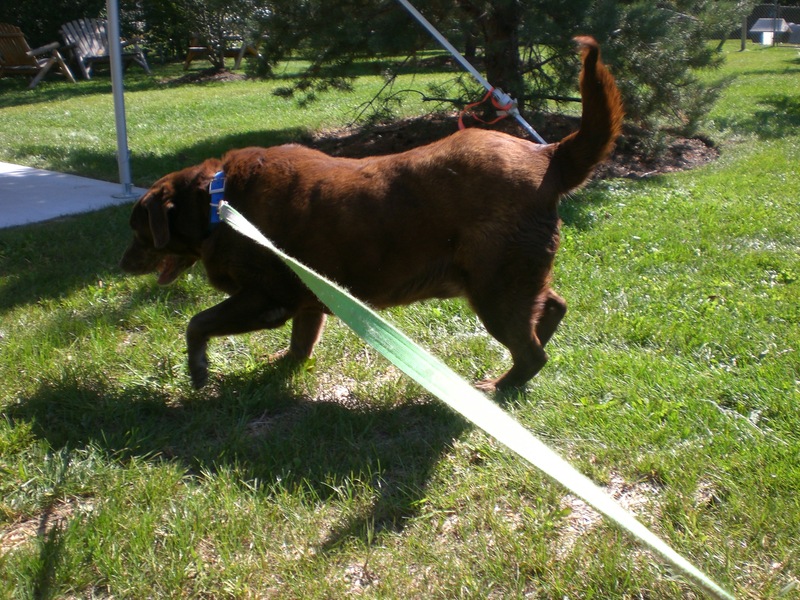 He walks well on a leash and would love to go on daily walks with his new owner, after being cooped up in the shelter. He is such a handsome boy, too! 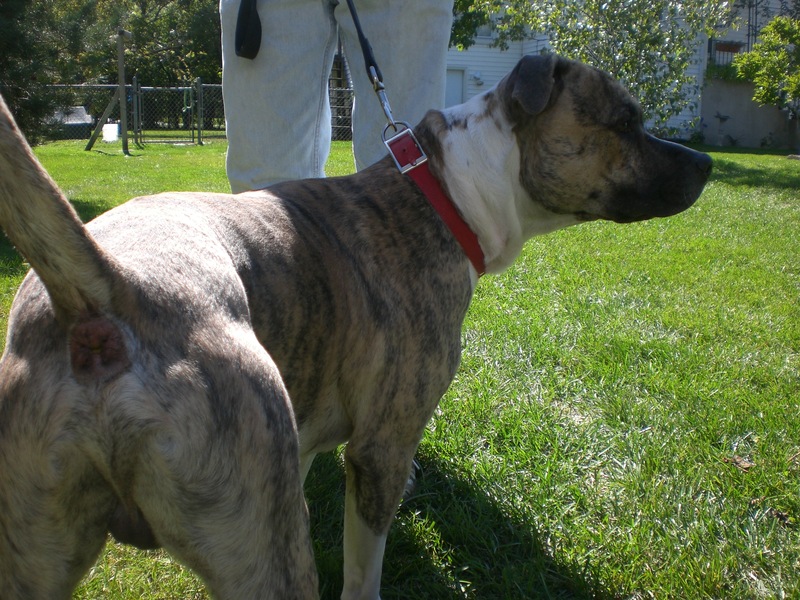 Brindle coloring doesn’t get much nicer than his. If you’re looking for an older dog (who still has plenty to offer!) who is already trained, come say hello to Domino. 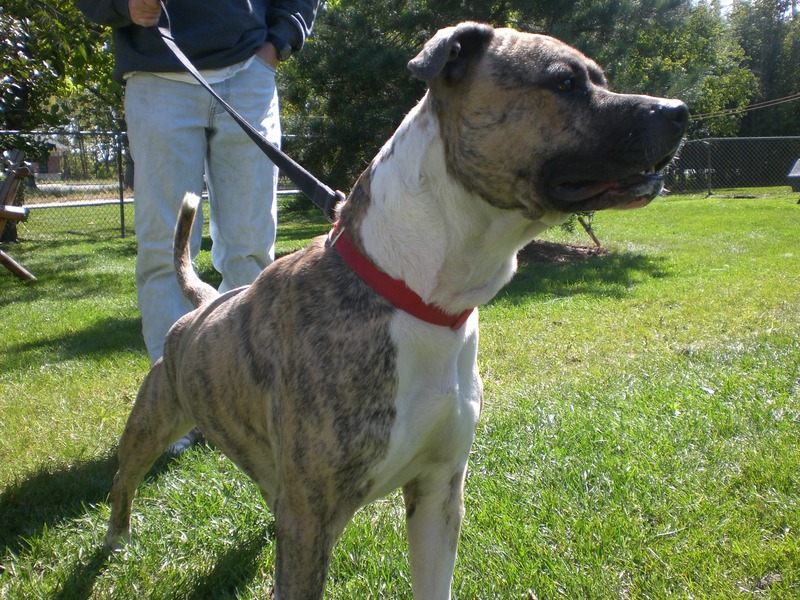 Next was Mia, another beautiful brindle! 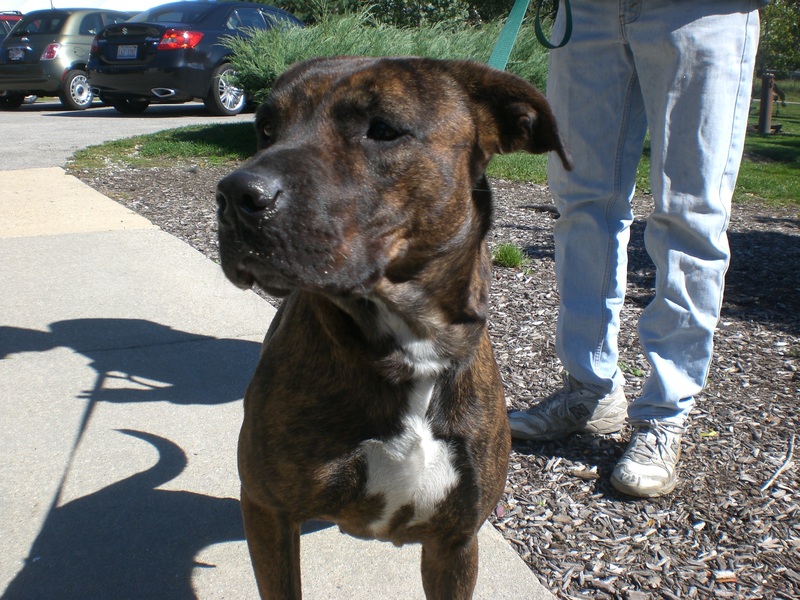 Mia is a a four-year-old Pit Bull Terrier mix and a total sweetie pie. 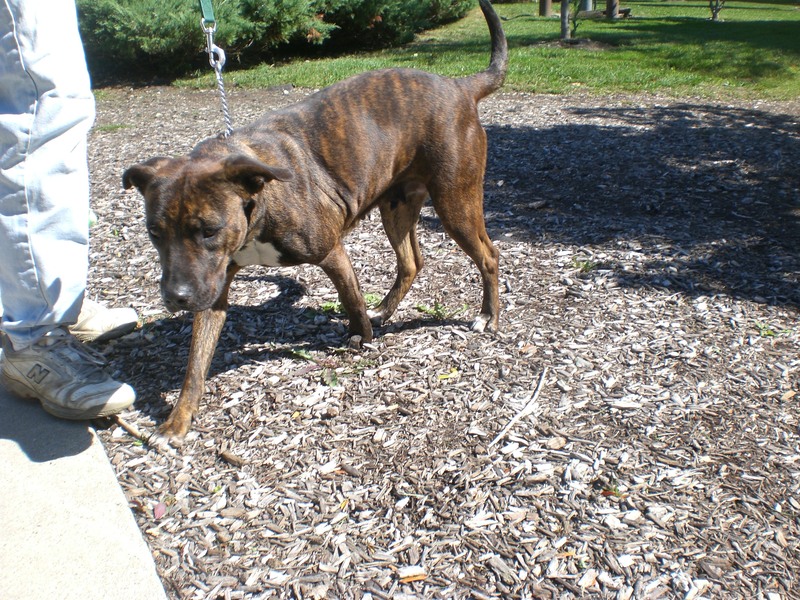 She is a playful girl and gets along with other dogs, and loves people. She is always happy and wagging her tail. After we walked around for a while, I knelt down so I could get some pictures of Mia. She attempted to crawl into my lap (not realizing she’s a little too big for that) and gave me some enthusiastic doggy kisses. She’s a lover who is ready and eager to share all that love with her new owner. Fudge also has that great Lab personality. She is happy about everything: getting pet, going for a walk, sniffing along a trail in the grass, etc. It’s the little things in life that Fudge appreciates. But she would especially appreciate a new home in which to spend her golden years! 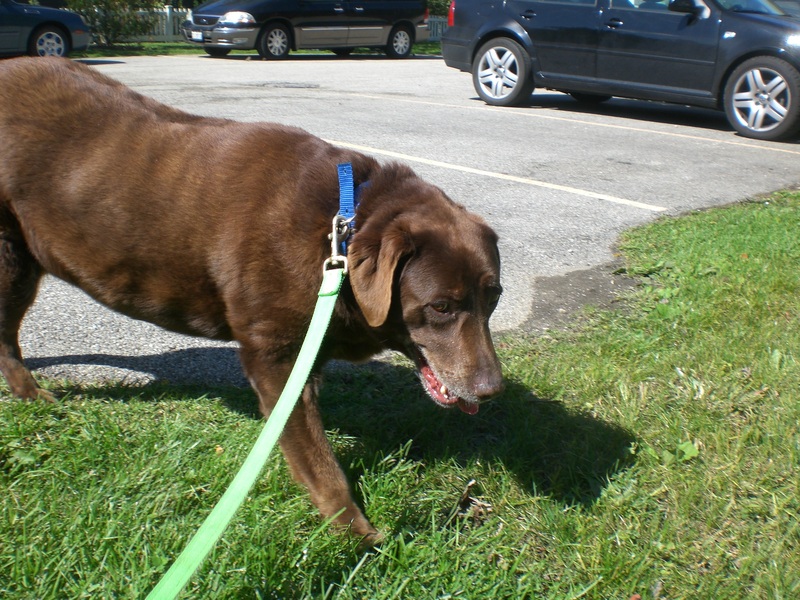 Chocolate Labs are popular, so come in quick to meet Fudge. Posted by Meet the Pooches on September 27, 2012 in Dog Profiles and tagged adoption, animal shelter, Chicago, dogs, Labrador Retriever, Orphans of the Storm, pets, Pit Bull Terrier. I’m sure all of these dogs are wonderful, but I wanted to share that I had the privilege of transporting Fudge to a recent adoption event, and this girl is the best! She loved the car ride, and she was such a doll during the entire event. One of the high school boys who was also volunteering at the event fell so hard for Fudge, but his father wouldn’t let him adopt her. Spend just two minutes with this sweet girl, and I bet you’ll fall for her, too. My guess is that whoever is lucky enough to adopt fudge is going to get endless cuddles in return. I really hope Fudge finds her forever family, she deserves a big squashy bed in a home with a human to give her lots of belly rubs and kisses. Thanks so much for sharing your experience with Fudge! It’s great to know that she does well in all different environments. She will definitely be up for cuddling with her new family!